FOR SALE: Quantum Biofeedback SCIO EPFX with a beautiful 2013 17″ Quantum Computers laptop PLUS many accessories and training bonuses! 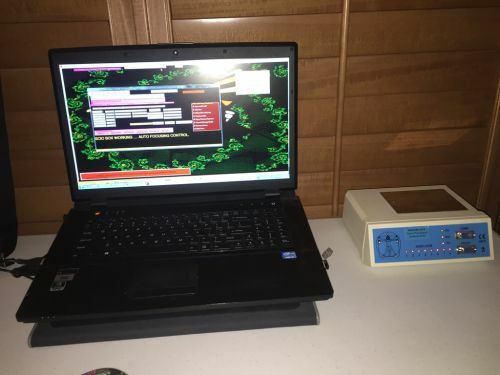 System 19: The Quantum Biofeedback SCIO with a beautiful 2013 17" Quantum Computers laptop with many accessories and training bonuses! If you’ve been waiting for another Quantum Biofeedback SCIO EPFX to appear in my listings, then your wait is over! This is the only Quantum Biofeedback SCIO EPFX listing that I have right now. So if you’re interested, I would HIGHLY suggest you take advantage of this opportunity. This system is in great condition. The SCIO EPFX was made in 2007, and the Quantum Computers laptop was bought in 2013 BRAND NEW. Speaking of things being brand new, this system also comes with a BRAND NEW SCIO EPFX head harness. So you will certainly be getting equipment in EXCELLENT or BRAND NEW condition. In fact, the owner of this system is so confident that this system is in perfect working condition that she agreed to pay a SCIO EPFX expert to inspect the system for you! This will give you peace of mind that you’re buying a system that is in perfect working order. So what does this Quantum Biofeedback SCIO EPFX system include? If you are not familiar with the Quantum Biofeedback SCIO EPFX, watch this video. It will give you a comprehensive overview of what the Quantum Biofeedback SCIO EPFX can really do! And of course it also comes with the beautiful 2013 17″ Quantum Computers laptop. And that’s just the hardware! Now let’s get into the bonus accessories and training! This system comes with a FREE 2 hour one-on-one training session with a SCIO EPFX expert, which will give you a huge jump start on learning the SCIO EPFX, because you can cater your training session to your specific needs and desires! 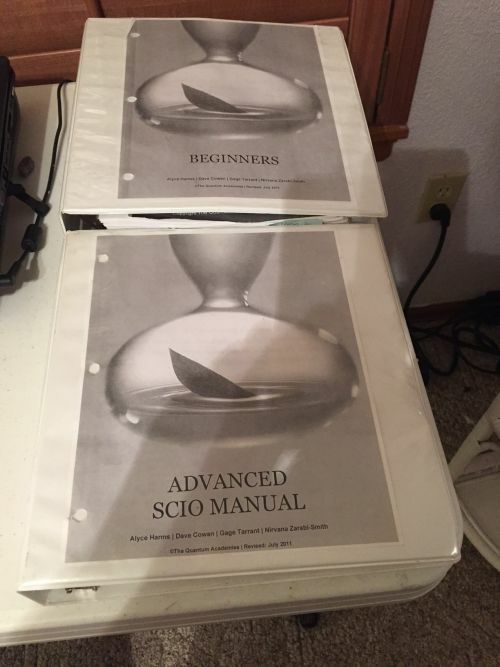 The owner of this SCIO EPFX system was given a very special 3-step protocol by her mentor, and she consistently got between 65% and 90% improvement with her clients with this protocol, and that’s unheard of when just starting out! She will train you on this amazing protocol so that you can start getting amazing results with your clients right from the beginning! Now that you know what’s included in this SCIO EPFX system, let’s give you some visuals, shall we? 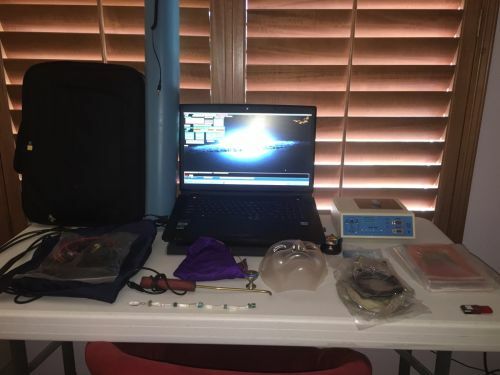 The Quantum Biofeedback SCIO with a beautiful 2013 17" Quantum Computers laptop with many accessories and training bonuses! Now that you’ve read and seen all that’s included in this system, here’s even more good news! What’s all of this going to cost? You’re in luck, because the owner of this system has priced it for a quick sale! As you can see, the value this SCIO EPFX system has to offer is hard to beat! If you really want this deal, but you’re not sure how to finance it, let me give you some financing options. Since all of the SCIO EPFX packages that I list are being sold by private parties and not by businesses, they are unable to offer financing. You can take a cash advance on your credit card, and pay it back with the money you make with the SCIO EPFX. Is there a friend and/or family member, or maybe a few friends and/or family members who would like to invest in your business? You could offer them a stake in your business, or a certain percentage of return on their investment in return for funding this SCIO EPFX purchase. Is there a company that would benefit from you having the SCIO EPFX, and from you offering the services that you will offer, who has the financial means to loan you the money? You could team up with a company where each of you would benefit from the relationship. With this option, as an added bonus, you would also have instant access to their customer base, which would give a fantastic boost to your business! Be sure and choose a company that has the same target market that your company has, and that offers complementary products and services (not competing) to the products and services you offer. You could obtain a personal loan from a bank that would not require any collateral to secure it. Some banks may even secure the loan with the SCIO EPFX. It’s certainly worth asking. You could take out a home equity loan on your house, and then pay it back with the proceeds that you make with the SCIO EPFX. Is there something that you no longer need that you could sell to help finance the purchase of this SCIO EPFX system? They say if you haven’t used something for a year, you’re not going to use it, and it’s best to sell it to someone else who will use it. This will make room for new things in your life that you will benefit from like this SCIO EPFX device. If you know someone who would be interested in going in on this with you, and you both would be willing to share the use of the device, then this financing option could cut your cost in half! You’ll just need to set up a schedule of use that you both can agree on, and you’ll be good to go! Does that help? I’m sure one or more of the above financing options can help you get the funds you need for purchasing this awesome and economical SCIO EPFX package! Well…I think we’ve covered it all! You now know that this system offers A LOT of value (especially with all of the BONUSES!) , it’s in perfect working condition, and you have 7 options to finance this purchase that you can combine any way you like! All you have to do now is make the decision. But don’t want too long, because this is the only Quantum Biofeedback SCIO EPFX I have listed right now, which means it will sell quickly! So if you’re interested or if you have any questions, I would highly suggest you either email me or give me a call TODAY at 424.354.1141 before it sells!